What you witness in Tanzania certainly checks a ton of markers on a travel bucket list. Be it the gushing waterfalls and barren deserts, or exotic species and predators of the most lethal order; some get that feeling of danger lurking around the corner, while others bask in the serenity of white sand beaches with crystal clear water. Many of the most interesting countries in the world are often overlooked by travelers because they simply don't know what they have to offer. This is the case with Tanzania, a country with a huge amount of interesting history, thrilling experiences, and one of a kind opportunities. Within the borders of what is now known as Olduvai Gorge, the first known examples of human tools were found by archeologists. Now the park is home to a museum showcasing many of these tools, an amazing overlook that allows visitors to see the original archeological site, and a number of plaques that proudly tell of the various different discoveries that have since been made in the area. With a large number of other attractions nearby, Olduvai Gorge is one of the must-see attractions in the country. 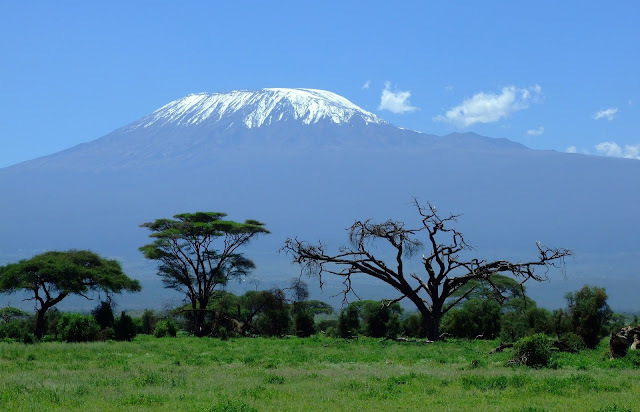 While you may not think of snow when you think of Africa and Tanzania, the peak of Mt. Kilimanjaro is almost constantly covered in ice, housing some of the only glaciers within the country. Known as one of the highest peaks in the world, summiting this mountain might be a bit more than most seasoned climbers can handle. However, there are a number of groups that go up each year, and those who find themselves unable to reach the top often find that they enjoy the park surrounding the mountain as much as the climb itself. If you do decide to attempt this climb, be sure to train hard before departing. This is generally considered one of the safer mountains for climbers, but it is still important to take your training very seriously. Once you book your trip, you might also want to check and see if you can meet up with other climbing groups as well, making this monumental trek with new friends. Many people decide to try for higher peaks after climbing Kilimanjaro, so this might just be the start of your climbing career! If you go anywhere in the Zanzibar Island, you need to visit the Stone City, aka the old town of Zanzibar city. 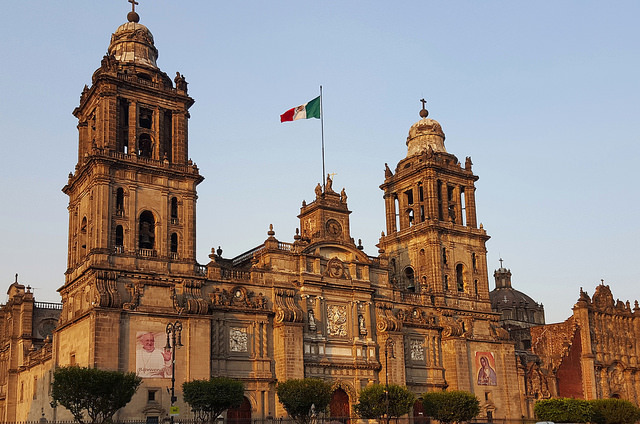 With over 1000 years of history, overlapping architectural styles, and open air markets, this city is everything that you would expect from such a vibrant country. 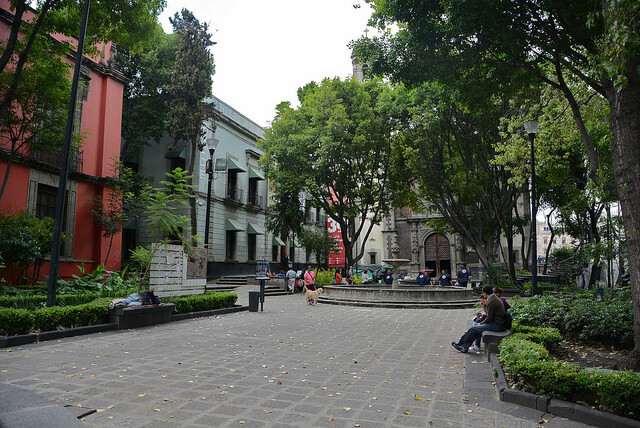 Walking within the extremely modern yet ancient city gives you a taste of what the country is all about. Touring the city you will come across old palaces, important historical buildings, monuments to the horrors slavery that occurred within the country, beautiful gardens, and so much more. If you are only going to visit one city in all of Tanzania, this is the one that will leave the biggest impression on you, showing you what this country is all about. 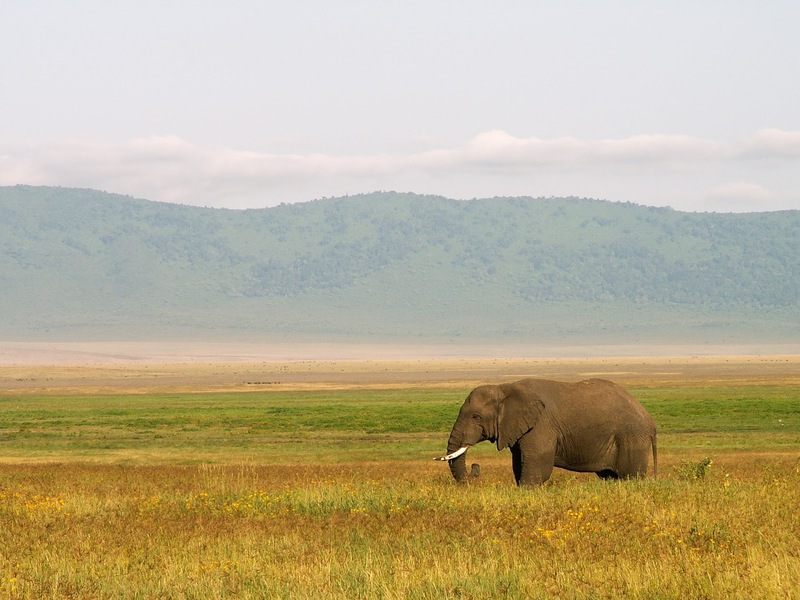 Tanzania is one of the only countries to have all of the large African animals and to have them all in the same place. National parks that are open to the public afford you to the chance to see lions, leopards, rhinos, elephants, and even water buffalo all in their natural habitat. Guided tours, lodges nestled within these parks, and even special education stations are all available to ensure that you have the once in a lifetime experience of seeing these amazing animals. Thanks to anti-poaching efforts by the government and local people, Tanzania's large animal population is actually thriving at this point in time. Vibrant cultural interplay is visible throughout Tanzania, with architecture representing German, French and British influence, along with intertwining elements of Arabic and other African cultures as well. There are more than 120 different ethnic tribes around the country, and the language that binds the country is that of Swahili. The food also reflects a variety of influences with the North Western inhabitants preferring plantains and those from the South preferring Ugali. Rice based dishes are popular along the coast. 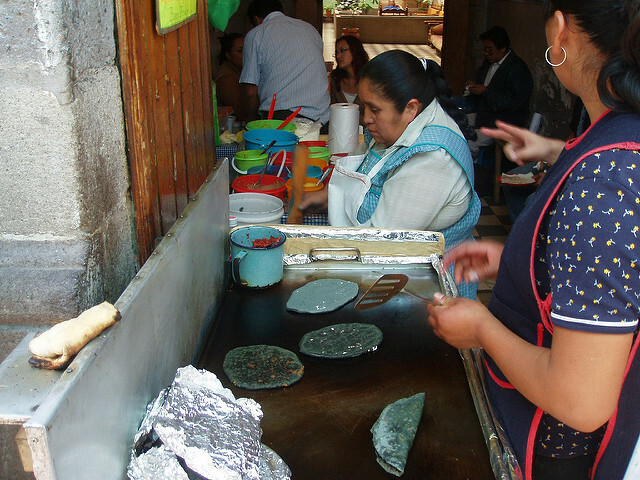 The locals often invite people for a meal, the acceptance of which is considered respectful in the country. The hospitality of the local people is touching and the country as a whole makes you feel welcome, relaxed and rejuvenates the mind and body. Earlier in the year, as we were coming to the end of our wonderful housesitting adventure in the rolling hills of Kentucky, we decided we should say farewell to the USA in style by taking a big road trip across a section of the South. We always love a good road trip at home in Canada, but these Canadians have to admit that no other country makes it as easy and as fun to take a road trip than the USA. And there were two cities that we were just obsessed with seeing as we love music and we hadn't visited them yet and those two cities were Memphis and New Orleans. After the happy homeowners came home and they filled us in on how their trip was and we told them all about the dogs and how they were doing, we had spent a long night drinking wine and eating a fried Kentucky feast. So it should come as no surprise that the next morning we were awakened by the gentleman of the house knocking (good looking out, buddy) at our door to wake us up. We quickly got stylish suitcases in the car and set off southbound just before sunrise and immediately settled into our roles. My role was of designated driver and Jon's was of the designated food and roadside attraction looker-upper. Although our phones are not the top-of-the-line specimens they used to be. In Memphis, we stopped for breakfast where we feasted on country ham, huge homemade biscuits, and scrambled eggs. Four hours into our road trip and with our engines full of biscuits, we pulled into our Memphis hotel. 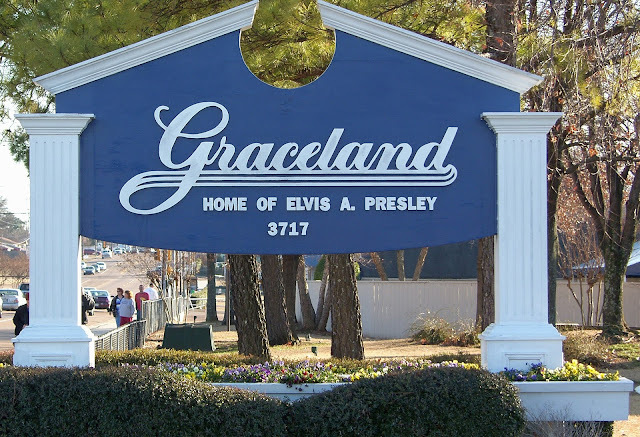 We then spent the next two nights going to all the big sights (Hello, Graceland! Hi Sun Records! 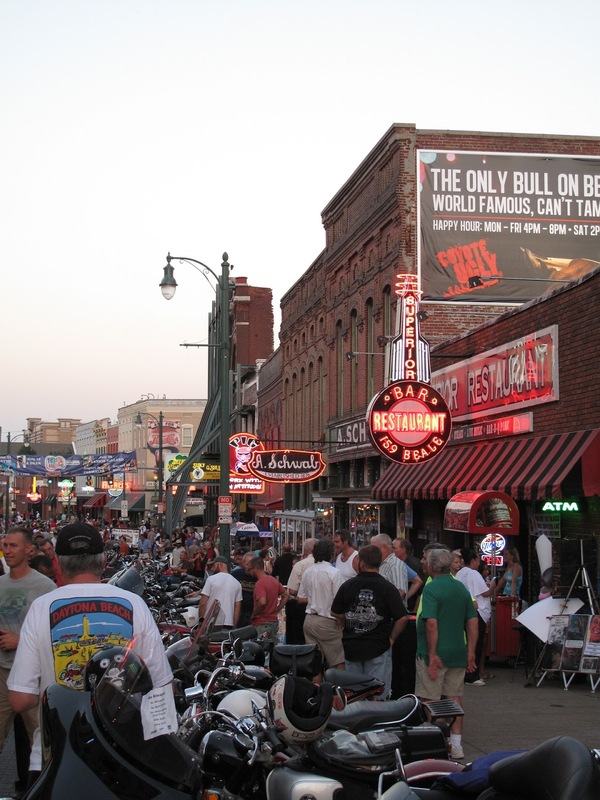 What's up, Beale Street!!!) and having more than our share of fantastic Memphis barbecue. It must be said that Beale Street was so much more than I ever imagined it to be. People had told us that it was a bit too touristy and maybe even a little tacky but we found it to be stimulating and fun and we met so many cool people from all over the world there. In fact, one night we struck up a conversation with a British couple who were on a musical tour of the USA. We kept running into them at different bars and we exchanged e-mails and Facebook accounts and vowed to meet up again in the future. Little did we know that they were heading to New Orleans next, too! Then it was on to the city that care forgot: New Orleans. 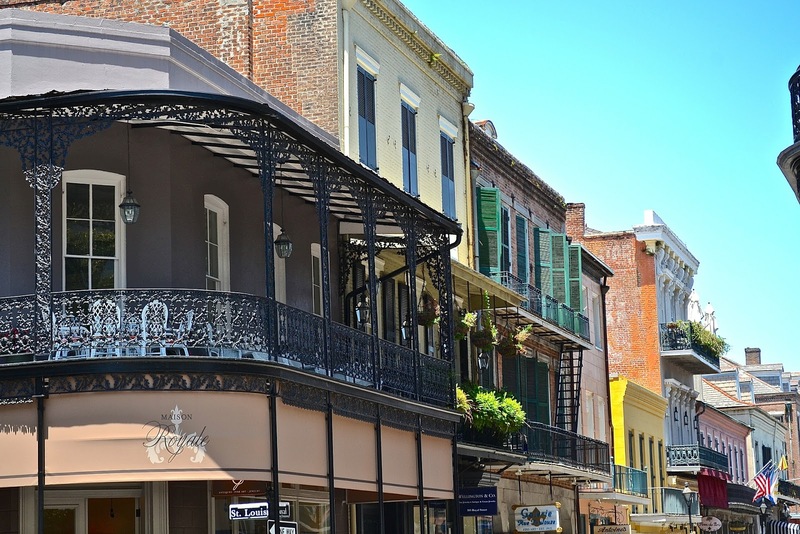 We had been watching so many documentaries that talked about New Orleans and the unique culture so when we arrived it was like walking into a dream. We rolled into town on fumes but then were filled up with a famous New Orleans Po’ Boy at the Domilise’s which we had seen on Anthony Bourdain. Then, we brought my travel luggage into our fabulous hotel before riding the streetcar up stately Saint Charles Avenue. We were blanketed there in warm breezes as we sat al fresco at the famous Columns Hotel enjoying one of New Orleans’ signature cocktails: the Ramo’s Gin Fizz and a glass or two of bubbles. 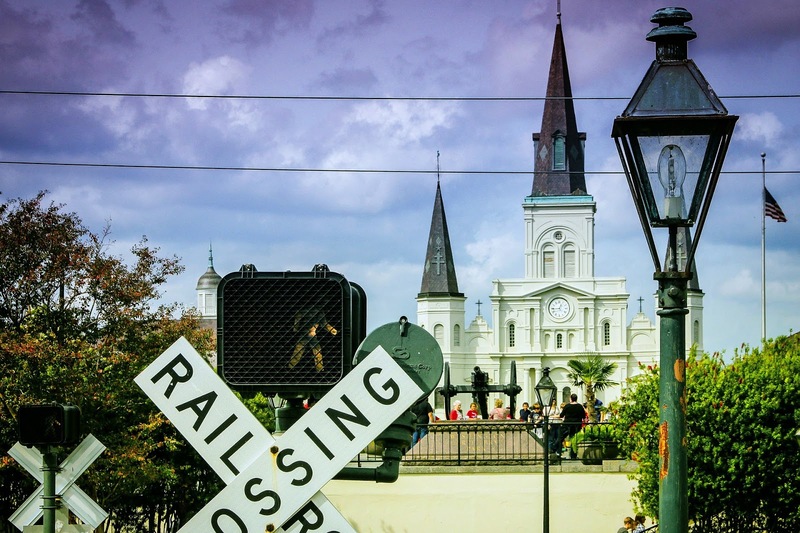 Rickety streetcars clinked and clanked their way by as we sipped, and let me tell you, it was totally New Orleans. Over the next few days, we strolled around the Garden District, took an exciting Swamp Tour and even toured the French Quarter's most haunted places. Oh, and of course there was way more signature NOLA food to be eaten. We had oysters, gumbo, crawfish and even sampled some red beans and rice (which is a tradition in these parts). But let's talk about the beignets. 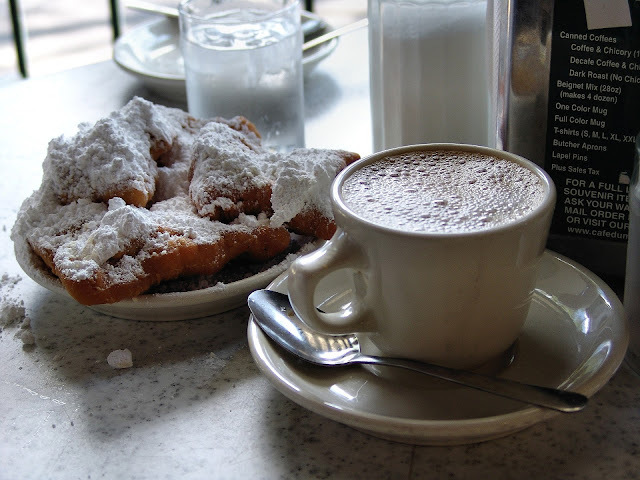 OMG, these little, fried pillows of tastiness at the world famous Cafe Du Monde had us smitten and we even went back nearly every single day of our trip. I had heard so much about them, but they lived up to all of the hype. Of course, we also went and saw the Preservation Hall Jazz band and while we may have had a few extra drinks afterward, the music will stay with us forever. Unfortunately, we were never able to meet up with our new British friends but we will hopefully see them when we visit Europe this Spring. When we headed for the exits on Wednesday morning and began our long drive north we knew we had done these two musical cities right and we listened to Blues and Jazz the whole way home! While there’s no doubt that the Crusty Canucks have visited many places around the world over the last few years, sadly, our experience with Africa has been far too limited for our liking. Sure, we have been to Marrakech, Morocco for a short holiday (which we will be writing about soon! ), had an excursion down the Nile in Egypt and had a quick layover in Ethiopia, but we have yet to make it anywhere close to sub-Saharan Africa. We are hoping that will change soon though as we are planning to visit South Africa later on this year. As a part of our early research into the trip, we have already discovered a ton of reasons why the country seems like a dream destination. 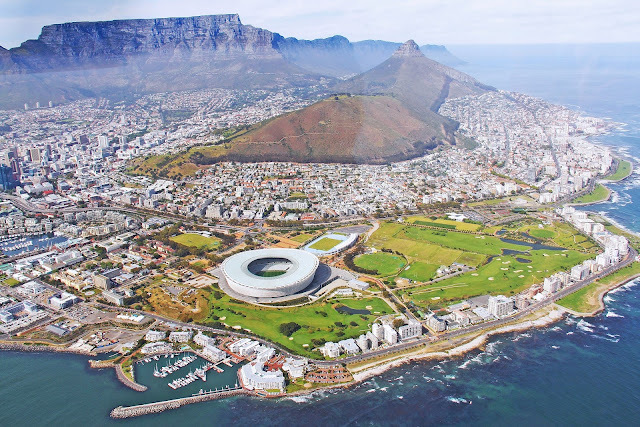 And here are 12 things that we are excited about and can’t wait to see/do in South Africa and we hope that they can inspire you too! South Africa’s largest city, Jozi will most likely be the place where we start our trip. The sights we would really like to see are the Apartheid Museum as we fill that it will be very educational and offer a proper insight into the history of the country. After taking a glance at the past, it will be time to experience the city’s present at some of its hip coffee shops and craft beer bars. Bean There looks like a great place to have a cup of joe and then Mad Giant has to be the pick for some tasty suds. After experiencing Joburg, we’ll probably grab one of the many cheap flights from Johannesburg to Durban to experience this underrated gem. As fans of Indian food, we will first make a quick run to the Indian Quarter, which is also known as Grey Street (and since we are big fans of Dave Matthews Band that name has special significance). Gounden's earns rave reviews for its curries and it would be a fine place to start out a great first night on the town. Then after a sunsetter at the world famous Panorama Bar, we’ll probably head to the Lucky Shaker or a local dive bar before finishing the night off with a stop at the Sunrise Chip N Ranch for, you guessed it, a round of late-night curry. 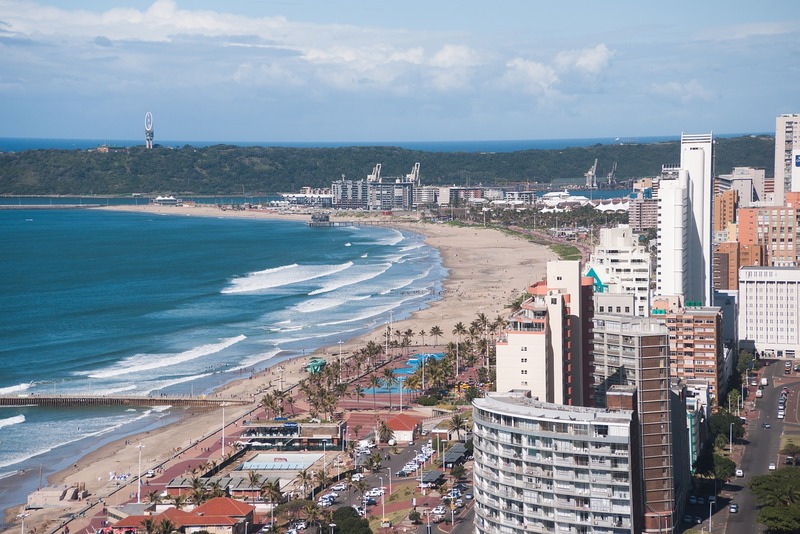 Then, since we will be visiting in summer, the next day it’s time to hit the beach and soak up the rays on South Africa’s glorious east coast. We’ve always been drawn to places with mysterious names (Death Valley, Snake Ridge, Devil’s Backbone) and ever since we first read about the Valley of Desolation, we have been intrigued. The unique rock formations here will be amazing to see up close and after a long hike, we will surely just want to rest, relax and maybe even spend a few days in Camdeboo National Park. We just love ziplining but in South Africa, they have an amazing thing called zip-sliding and we can’t wait to try it out. No, there’s nothing quite like getting your adrenaline pumping while on a holiday. Anyone who reads this site will know we absolutely adore train travel. Whether it’s punching a Eurail pass in order to explore Europe, riding to the depths of gorgeous Copper Canyon in Mexico or daydreaming about taking a trip on the Orient Express, trains are always a major part of our travel experience. Enter South Africa’s luxurious steam-powered Blue Train. This lavish line traverses nearly 1000 miles between Cape Town and Pretoria and shows off the gorgeous South Africa countryside at every turn. 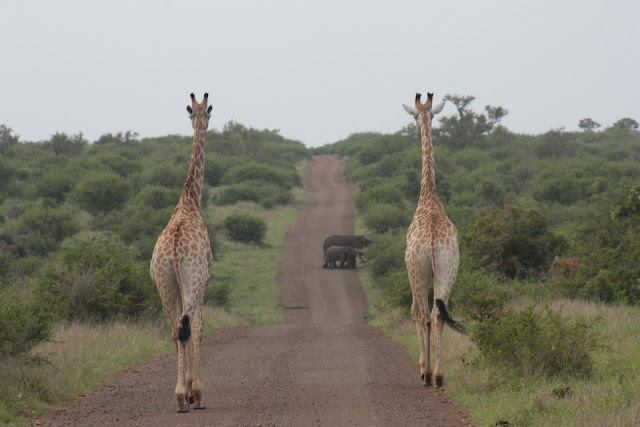 South Africa is home to the Big Five and even though we listed this one third on the list, there is no doubt that it’s the thing we are looking forward to the most. After spotting the fascinating wildlife throughout the wilderness, we will look to realize a traveling dream: stay in a luxury tree top resort. We may opt for a resort like Tsala Tsala or get a little more rustic by staying at Chalkley’s Treehouse—located in Lion Sands within Kruger National Park. Cricket is a way of life in South Africa and we can’t wait to experience this game at one of the country’s gorgeous cricket grounds. Newlands in Cape Town is often regarded as one of the most scenic in the world and we can’t wait to sit on the lawn and have a drink while the games transpire before us. I suppose it should come as no surprise that two world travelers like us would be borderline obsessed with historic explorers. Yes, it’s no exaggeration to say that names like Magellan, Hudson, De Gama and Cook hold a special place in our heart. Ever since Bartolomeu Dias sailed around the Cape of Good Hope, explorers have been drawn to this special place and we can’t wait to join the list. In fact, standing at the precise place where the Indian and Pacific Oceans come together has always been a dream of ours. 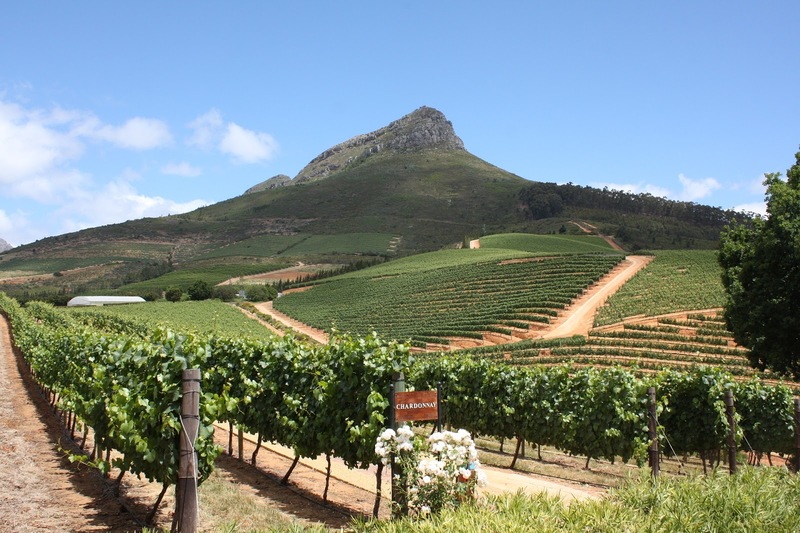 After hopping off the Blue Train in Cape Town, we will probably then head for the wineries on the outskirts of town. There are literally hundreds of wine cellars near Cape Town and we will do our best to visit them all! We may even decide to stay the night at one of them (the Asara Wine Estate & Hotel looks especially enchanting). We’ve always been a fan of South African reds and we can’t wait to get up close and personal with the place where they are made. After we sampled the wine, then it will be time to come back to the city proper and explore, maybe even deciding to trek to the top of Table Mountain. Even though we are not the biggest fans of cold weather, we just love spotting penguins. In fact, many of our favorite places that we have visited have also tended to be home to these little tuxedo-wearing birds (we are looking at you New Zealand and Argentina). Boulders Beach is known as a haven for these little guys and we will certainly make a trip out to see them when we are there. When we decided that we were going to take a long-term trip through Mexico and Central America, we could barely contain our excitement. Thoughts turned to wanderlust and wanderlust turned to plans and then plans turned to a purchase of a one-way ticket to Mexico City. We finally knew when and where we would arrive but we didn't know how long the trip would last. After the excitement of putting our stuff into self-storage and making all the other arrangements one needs to make when you go on a trip like this, we were finally off. Of course, this shouldn't have been a shocker to us, but the scene from plane was especially telling. The landscapes around Mexico City are, from the air, very similar to those of Phoenix & Las Vegas, which we have flown into dozens of times. By instinct, when we saw the mountains and city lights upon descent, we expected to see the airport and or main city center fairly soon. That sure didn't happen. The city just kept going and going, and we were treated to twinkling city lights for a long time. We will be the first to admit, We were a bit ignorant to the details of Mexico City's climate before we started reading more and more about it in recent years. We just assumed it was really hot here all the time. Once we started getting schooled on it, we found the weather here was almost always described as "nearly year-round spring" and this is pretty much what we had during the whole time. As we made our way from the airport to the hotel via the Metro, we invariably got lost a couple times. At every occasion, people were willing to help, with one young kid actually pulling a Yellow Pages-sized atlas of the city out of his backpack. It was almost as if he just carried it around just in case a tourist needed directions. We gladly thanked him and he just said in Spanish that "it was nothing at all and welcome to Mexico City". Time and time again, we had experiences just like this (especially at the street food stalls) re-assuring us that this was the type of place we were going to feel very, very welcome in. Our first night, we ended up in a local neighborhood and had some marvelous Mexican street food from what would best be described as a taco stand with an artsy attitude. It was great, but today topped it off as we enjoyed lunch at a cantina and at a corner taco stand eating off a plastic plate with an assortment of locals at a fraction of the price from the night before. On our way home from that trendy Condesa neighborhood, we were able to communicate to the cab driver in my Spanglish that we would love to have some churros as a nightcap. He understood our jumbled jargon, got us to the spot, and then patiently waited for us outside. When we rejoined him we gave him up with a churro, and we are pretty sure he gave us a discount on the fare. Whether the Crusty Canucks are taking a weekend getaway to a big city in North America or planning a multi-stop adventure to Europe, there is always one accessory I that I consistently agonize over when it comes to packing our suitcases: jewelry. Pack too much jewelry and I feel like I’ve overdone it; pack too little and I get sick and tired of my wardrobe by the third night of the trip. Pack too much bling and I worry about keeping it secure, but pack too little and I never have enough when we make that last-minute Michelin-star restaurant dinner reservation. While I always have the jewelry box stocked at home with goodies from ItsHot.com, the toughest part is picking which bits of jewelry to take with me on the road. While I know the above paragraphs make it sounds like I am totally confused about what jewelry to take with you while travelling, I promise I have picked up a few things over the years. First and foremost, before you even get into selecting what piece of jewelry to take with you, you simply have to have a place to keep your jewelry. For earrings, I like to have a small, soft bag that allows them to be stored without the backs getting bent out of shape. Jewelry rolls are great options here as they are very easily packable and do the job I described above. Stud earrings are never, ever the wrong decision. They are so simple and elegant that they can make almost anything look good (trust me, I’ve tried!!!) And they don’t have to be the most expensive pair or pearls to make an outfit like outstanding. If you can afford the space in your aforementioned soft jewelry roll, it’s always preferable to pack several different styles, that way you have ultimate flexibility when mixing and matching with different outfits. If you take one thing away from this post on travel jewelry, let it be this: a waterproof watch is a must. Whether you are going somewhere tropical (hopefully!!) or just going down the road, you never know when disaster can strike. I took a Breitling watch with me on a three-month long trip to Europe and even though it said it was waterproof I assumed I would never put it to the test. But then we went to the gorgeous island of Hvar in Croatia. One thing leads to another at a happy hour at the ultra-cool Hula Hula Beach Bar and next thing you know I am in the Adriatic Sea with my watch on, which kept on ticking perfectly. The point is, you just never, ever know. Especially on vacation. The key to taking a plain t-shirt or vest top from day to night is a colorful, oversized necklace. By picking one or two of them, you don’t need to pack anything extra and can just change up your wardrobe with the flick of a wrist. 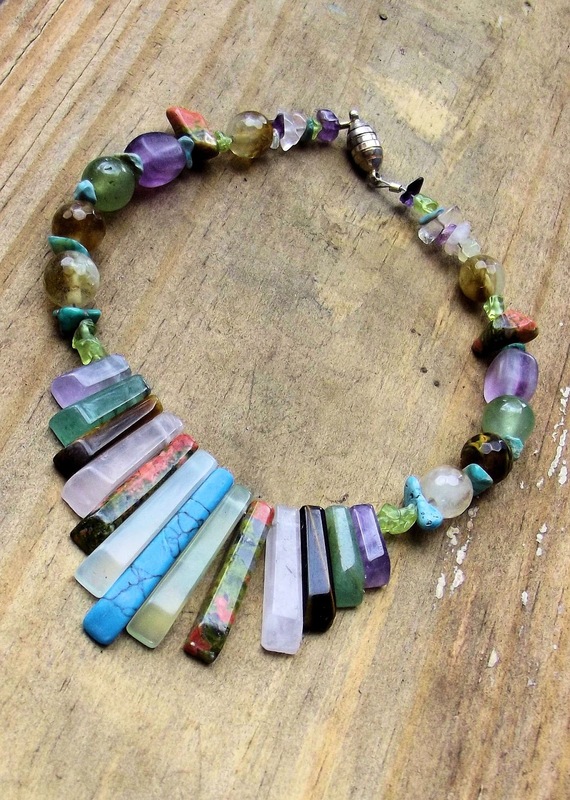 I love the big statement necklaces, especially turquoise ones If I am traveling somewhere warm as this color really makes both black and white tops really shine. You don’t have to be decked out in Tiffany rocks to make an impact with a little sparkle. Even (gasp!) 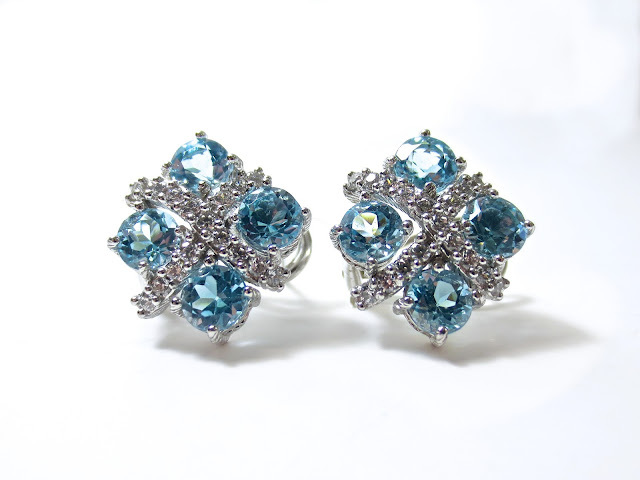 cubic zirconia can add a touch of glamor to most outfits, whether that be studded in a bracelet or in square-cut droplet earrings. The benefit of cubic zirconia is that you’ll never have to worry about it getting stolen while you’re abroad - or even have to bother insuring it, as prices are usually on the low side. The downside is that it can become dull fairly quickly, so can often only be worn a handful of times before you’ll have to consider shelving it. Of course, if you do decide to travel with actual diamonds - in your wedding/engagement rings, earrings, bracelets, watch or necklaces - then you probably need to consider adding the cost of these items onto your travel insurance, in case of theft or loss. Always use the safe in the hotel room (or at the reception desk) if you are going to the beach and won’t be able to carry them with you and be cautious about flashing them in public if you are walking around unknown streets late at night. But don’t let this advice scare you off - diamonds are the epitome of understated elegance and are almost mandatory at certain elegant galas aboard cruise ships and the like (I’m kidding, of course, but it’s kind of true). You can pick up a pretty bracelet almost anywhere nowadays. Whether you stock up before your trip or do what I do and pick up one while you’re abroad (trust me, they are the ultimate fashion-forward trip souvenir) is up to you. 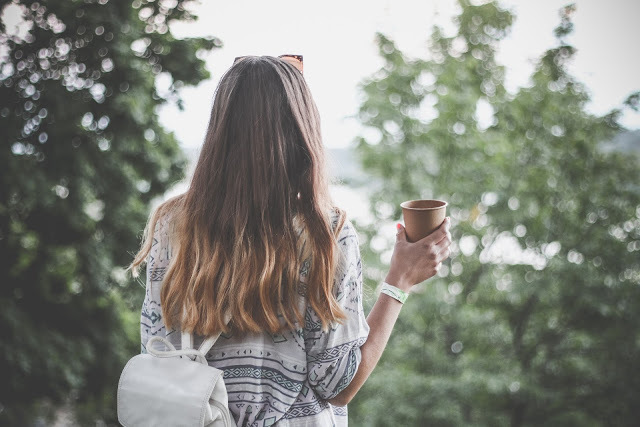 If you aren't going to go for high fashion, you can even work a trendy friendship bracelet into your wardrobe and since many places around the world are known for selling locally hand-woven bracelets, you will be spoiled for choice on holiday. I still cherish the bracelets I picked up in Central America and each time I put them on it takes me back to that trip. 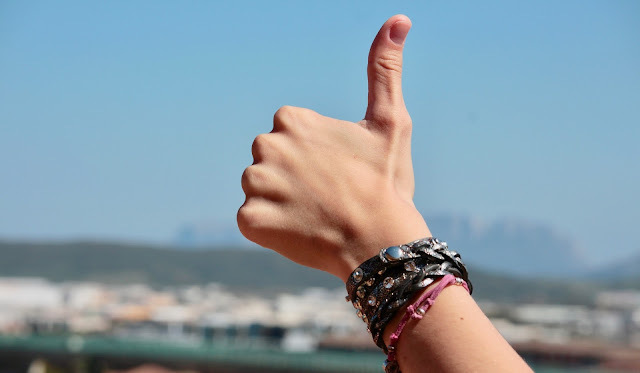 If you simply don’t want to take your most valuable jewelry abroad with you, or you don’t feel that it matches the capsule clothing you’ll be packing, then buying cheaper fashion jewelry can sometimes be the perfect compromise. But not a long-term solution of course as you will want to have your jewelry case full of proper dazzlers upon your return from your trip. I hope this has helped you decide what travel jewelry you’re going to pack for your next trip. If you have any tips of your own, please let me know! Any regular readers of this website will know very well by now that the Crusty Canucks absolutely love to eat. In fact, our passion for food and gastronomic delights is part of the reason we love to travel so much. Why? Well, there is simply nothing more magical than enjoying a delicious local meal in a lovely travel destination. Your mind gets an insight into the culture while your taste buds get to dance, what could be better than that? 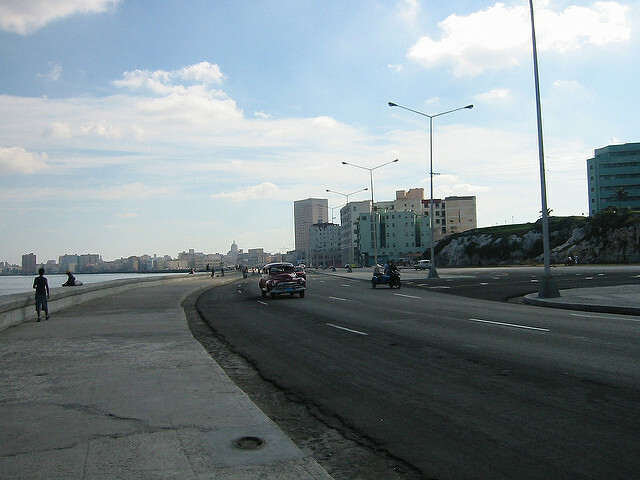 And that brings us to Cuba. There is a reason we have been to this enchanted island so many times over the years, and it’s the Cuban food. Yes, historic Havana holds a place in our hearts for sure and the beaches have taken our breath away, but it’s the food that we dream about on a long winter night. 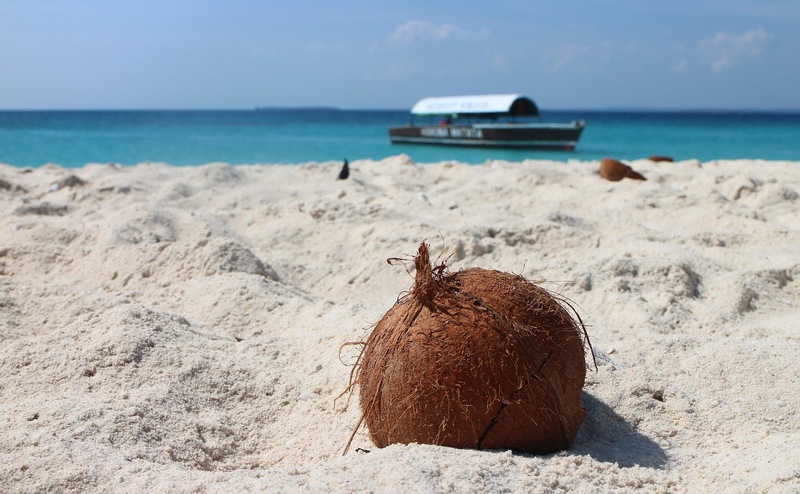 For those looking to follow in our footsteps on their very own food-focused holiday or tour to Cuba, we figured we would put together a foodie guide to Cuba for all those who share our passion. The following are just a few of the specialties you should try to get on our plate. 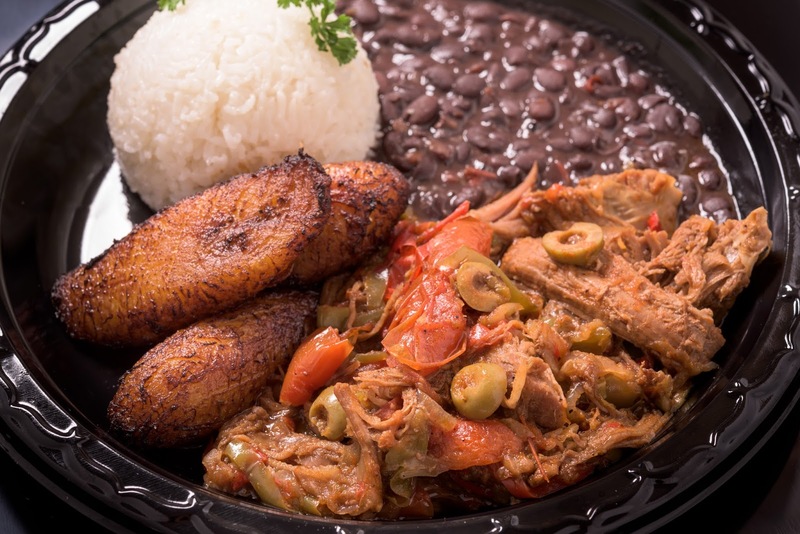 No discussion of delectable Cuban food would be complete without "Ropa Vieja", regarded by many as the nation’s national dish. In fact, we have yet to meet a Cuban on our travels who didn't hold a warm place in their heart for Ropa Vieja. Heck, even the Airbnb host we befriended a couple of years back declared to us that he was a “vegetarian except for Ropa Vieja!”. The dish has succulent shredded beef as its base, but it's the seasonings and the juices that will stay with you. Expect to see some of the softest and tastiest bell peppers of your life mixed in with the juicy beef and a side of rice to accompany the dish. The best place to eat it: La Catedral in Havana. 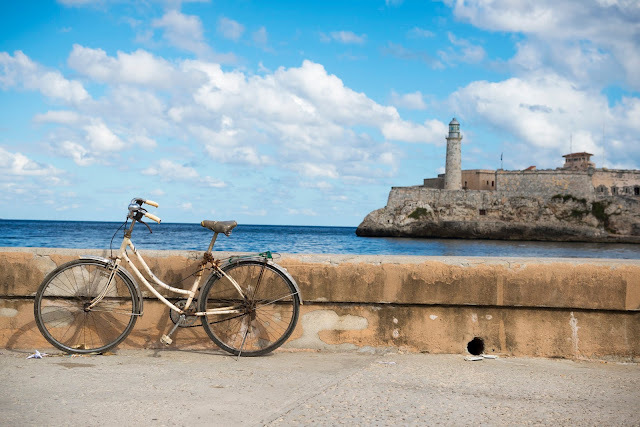 While we definitely go to Cuba for the sunny and warm weather, every once-in-a-while you can catch a cool day (especially at night). For those evenings, we love to tuck into a bowl of "ajiaco" to warm us up from the inside. Some local foodies that I know swear that this stew manages to pull off the impossible: boil down all of the legendary culinary history and diversity of Cuba into one simple dish. And we tend to agree. A bowl of Ajiaco stew will vary from family-to-family and town-to-town, but you can almost always expect to see vegetables from Africa (a nod to the island’s African heritage), tomatoes and corn (native to Latin America) and bacon and meats that were brought over from Spain. The best place to eat it: At the Ajiaco Cafe, of course. This amazing restaurant is located in the charming village of Cojimar—just a short trip from Central Havana—and serves up homestyle fare in addition to offering cooking courses. While they do focus on traditional recipes here, they are also trailblazers at helping Cuban cuisine keep up with international trends. In fact, you can expect to see such delicacies as truffle oil on the menu here and they even use honey instead of sugar in many of their dishes. Lobster? In Cuba? I know what you are thinking but I promise you that the lobster here will be some of the best you have in your life. 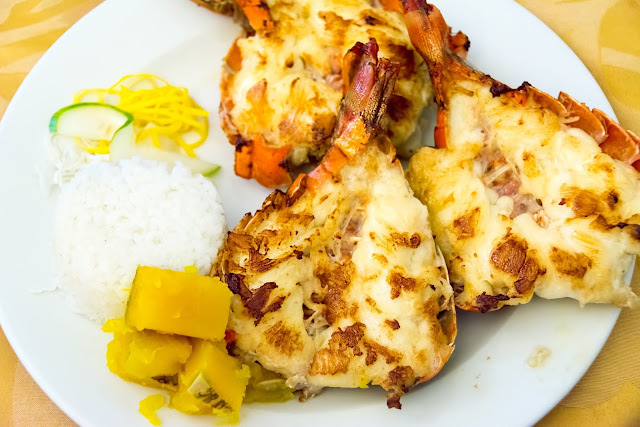 Due to some restrictions on what seafood can come into the country, the only fish you will really see on menus are ones that are locally caught, but unlike in some countries where the lobster is then all sent abroad, in Cuba, it stays right at home ... on your plate. The lobster will always be fresh and it is usually served up simply grilled with just a touch of butter. The best place to eat it: La Dichosa. This might just be our favorite restaurant in all of Cuba. While you can get great grilled lobster all over the city (and some that are just as good as the lobster at La Dichosa), you simply cannot beat their super cheap “lobster & cocktail” special. 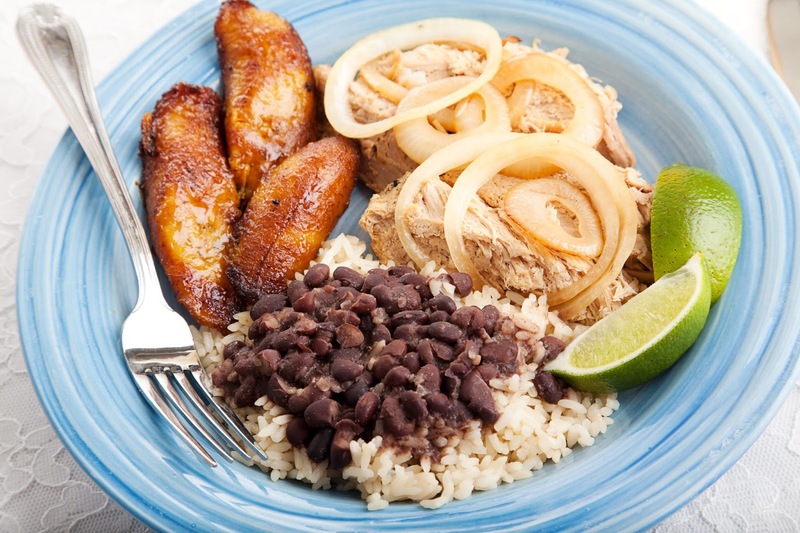 It is true that you can find this dish throughout the Caribbean, but nobody does it like Cuba. Created by marinating the yuca/cassava in oil, lime and garlic with onions, the flavors are a beautiful mix of citrus and spice. In our experience, if you see the word “mojo” next to a dish in Cuba, it’s going to be good. The best place to eat it: La Guarida in Havana. Their version has knocked our socks off on more than one occasion. 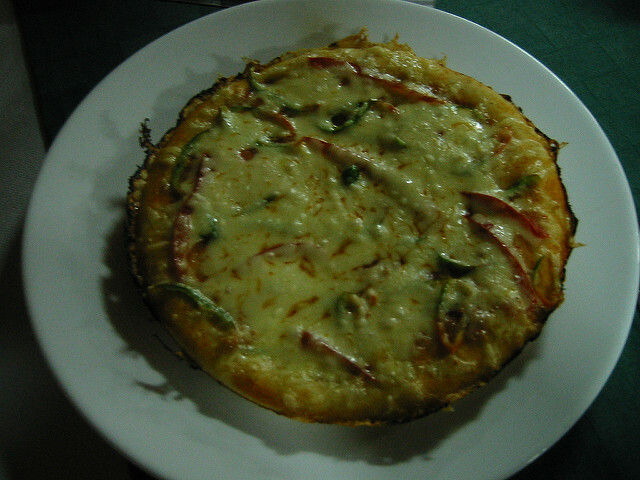 While pizza is certainly not a Cuban invention, the Cuban people are absolutely mad for pizza. Expect thin and crispy crust and mild cheese on a myriad of classic toppings. Quality can vary wildly from shop to shop, but if you are like us, you will find your favorite place during your trip, and return a few times for a “quick slice”. The best place to eat it: Mundo Pizza, while they are little on the pricey side (by Cuban standards), you get what you pay for. While normally more associated with Puerto Rico in the world of foodies, there is no doubt that Cuba knows how to do suckling pig right. 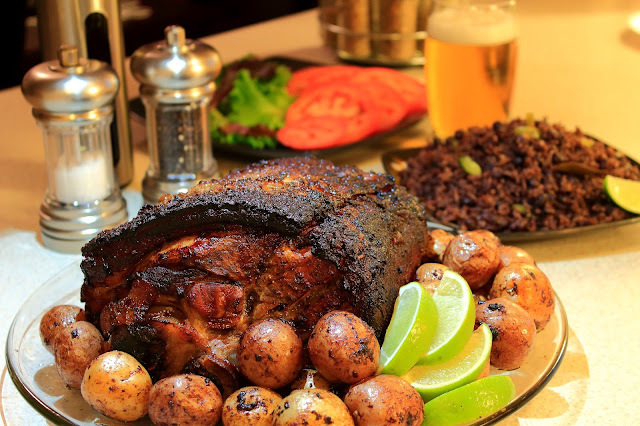 "Lechón" is the name for slow-roasted pork that is marinated with a tempting mix of orange, onion, garlic and assorted tasty herbs and the results are just as delicious as they sound. I still can’t believe how many helpings of this delicious dish we had during our first trip to the Island and even though I’ve had pulled pork at many local restaurants in the American South, this still is my favorite version. The best place to eat it: El Palenque. This thatched-roof beachside eatery in Havana is proud of their version and will serve it up with a heaping helping of rice. While many people may associate tamales with Mexico, anyone who has visited Cuba knows that the Cuban varieties are something special, too. We have had so many different "tamales" on our trips to the island that it’s very hard to hammer down a specific type or description of what makes a tamale a “Cuban tamale”. Ingredients vary wildly with peppers and chicken being two common, but certainly not dominant, flavor profiles. The best place to eat it: In our experience, tamales are best eaten in the rustic homes of locals than at fancy restaurants, but we did have a great tamale at La Vitrola. Yes, La Vitrola, the restaurant that serves food on records and is sometimes known for being a bit touristy does indeed know how to serve up a tamale. Take it from the Crusty Canucks, there is positively nothing better than feasting on a fresh-fried "churro" at night in Cuba. Yes, these decadent doughy treats are as tasty as you would imagine (you will even spot some versions that are more crispy-chip than our beloved doughnut). They are typically served with melted chocolate and once you taste your first one, you will know you have arrived in Cuba. 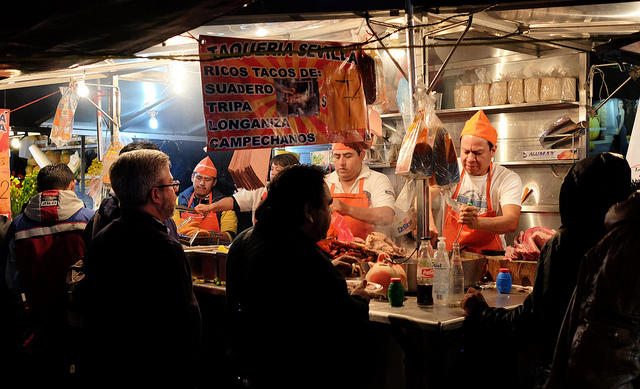 The best place to eat it: You will find street stalls dotted all around the city and we have found if you just look for the longest line of locals, you are into something when it comes to churros. If we had to pick one though, we’d say the stall on Plaza Vieja run by a very friendly older woman. We couldn't live without coffee and no discussion of food in Cuba would be complete without talking about the amazing locally-grown coffee available in this country. We never end a meal at a paladar without a cup with our dessert, and you shouldn’t either. It was in Cuba that we first learned to appreciate drinking coffee black and milk is not quite as common as it is in Canada. Now, we use our Aeropress and only drink it black … all thanks to those beautiful Cuban beans. While most people plan their trips to Scotland during the summer (when the country is home to long days - it stays light out until nearly midnight there! ), we chose to go in the heart of winter. Not just any section of winter either, we chose to go to Scotland during Christmastime. And this was by design, as the entire island of Britain is famous for being full of holiday cheer, and Scotland also happens to be home to Britain's only free herd of reindeer, and we just simply had to see that. We flew into the ultra cool Glasgow Airport, and decided to spend a couple days in the cosmopolitan city before we headed off to the Highlands. 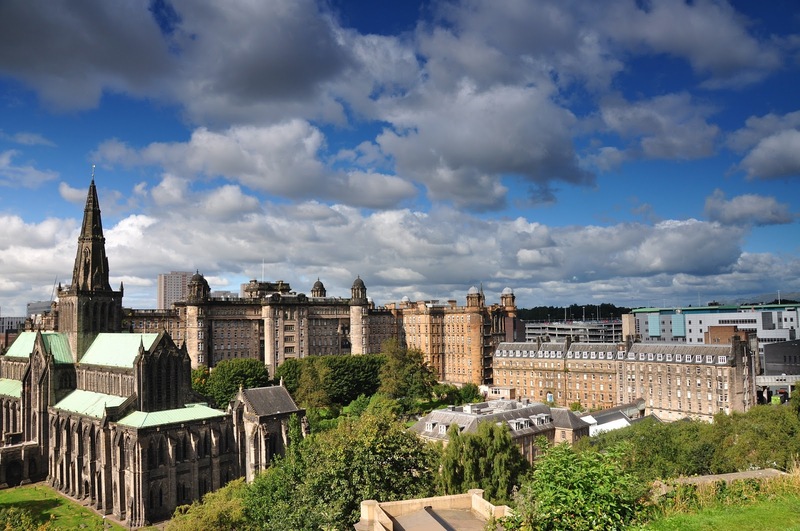 We figured this would be a good way to get ourselves acclimated to the time difference and give ourselves a chance to visit some of Glasgow's amazing pubs and whisky bars. We ended up falling in love with Glasgow and wondering aloud why more people don't talk about how cool of a city it is? It has the art, the history, and architecture to compete with any big city in Europe with the Scottish Highlands on its doorstep. Well, we say one vote for Glasgow! But alas, it was off to the Highlands. After a long day of bus travel, we arrived in the ski town of Aviemore. We chose this town to be our Highland base due to its location inside the rolling hills of Cairngorms National Park. The park is the largest in the British Isles and is home to several attractions including a ski resort and of course the main reason that we were there: the Cairngorm Reindeer Center. We actually didn't know that Scotland even had ski slopes before researching this part of our trip, but we soon were surrounded by a winter wonderland. Our decision to make Aviemore our base was also aided by the fact that it is located within the famous Speyside whisky producing region. Afterall, what could be more Christmassy than running around with some reindeer after drinking some whisky? Not much. After a long travel day on the bus, the Dunroamin Bed & Breakfast was an absolute sight for sore eyes. Warm and welcoming, our room featured a view of the snow-dusted Cairngorm mountains and one of the coziest atmospheres we had experienced in a long time. We loved all the space we had in the room and the comfy beds so much, we ended up spending most of our time in Aviemore inside the cozy inn. Of course we would shuffle downstairs for a full Scottish breakfast, but then we'd settle in for days full of long winter naps, listening to Christmas music, and looking out the frosted window panes saying things like “sure looks cold out there”, before slumping back down on our pillows with a warm mug in our hands. Hey, sometimes even these Crusty Canucks aren't always adventure travelers!!! There was one thing in Aviemore that was going to get us out of bed though, and that was the reindeer. 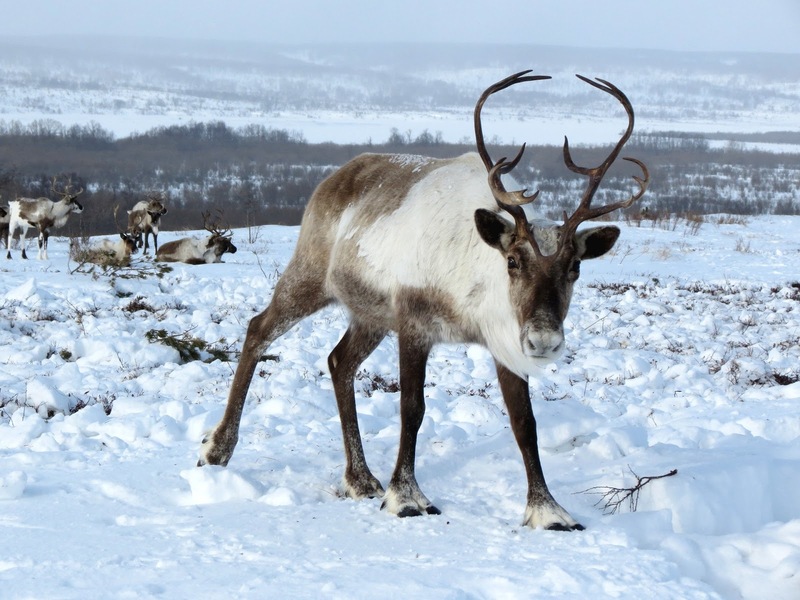 The Cairngorm Reindeer Center is home to over a hundred of the gentle beasts and the opportunity to get up close and personal with them to boot. The Scottish Highlands had been a home for reindeer but they had disappeared until they were re-introduced in the 1950s by a gentleman from Sweden. He recognized the environment in the Scottish Highlands as similar to that of Lapland in Scandinavia, and the rest is history. Even though we are from Canada, we have never been to the arctic or walked on anything in the world you would classify as tundra before, but looking around, we could really see where that wise man was coming from all those years ago. It just felt Nordic, and at around 57 degrees north latitude, Aviemore was the furthest north we had been on this trip. We got the chance to see the reindeer in their natural environment as they are a free-ranging herd, pet them, and feed them. They were all very friendly as can be and with the fresh dusting of snow on the ground under their hooves and a light mist hanging in the air above them, it made for an absolutely stunning setting. 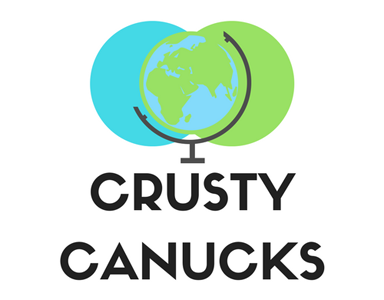 We're two crusty canucks with a love of travel, food and fun adventures. Follow us for travel guides, foodie reviews and much more!